Use Lube for Easy Install! Connect two 1/4″ lances together. from breaking at the threads. To “quick connect or disconnect’ two lances you will need these. The deep shoulders keep the lances from breaking at the threads. 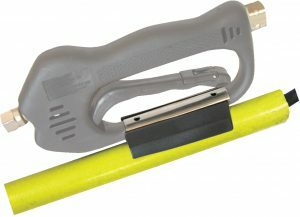 This gutter clean-out tool attaches to the end of the lance and is a great ‘add-on’ service tool. Bends and remains in position. 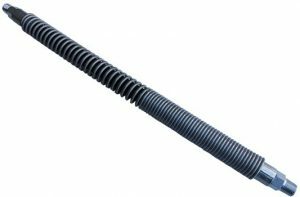 Great for gutters, wheel wells, undercarriages, etc. • Everyone loves the Water Broom. Attaches to the end of the lance. Place probe into a bucket of ’00’ grade sand and pull the trigger. You will be amazed and how effective this tool is for removing paint. 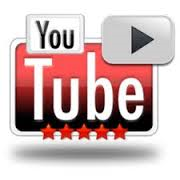 Here is a YouTube Video showing you how the Professional Series works. For the contractor who specializes in sand-blasting. Lances are constructed of many different kinds of metal. The most common are Stainless Steel, zinc, aluminum, and black iron. Lances are sold in many different lengths and also in different thickness or schedule. The two most common schedules used are forty and eighty. Schedule forty is generally, but not always used with zinc and stainless steel, and is a thinner wall than schedule eighty. 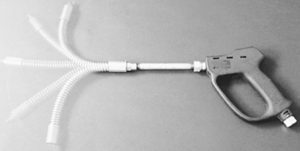 Aluminum lances are usually schedule eighty because aluminum is a softer material and schedule forty aluminum lances bend easily. 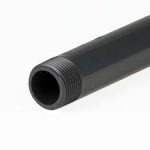 Black pipe is a less common material and it works well in either thickness. 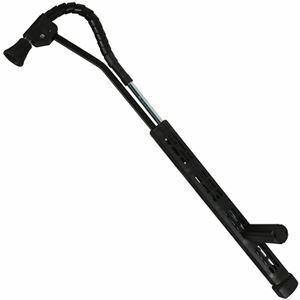 A schedule eighty black pipe lance is extremely durable, but heavy. 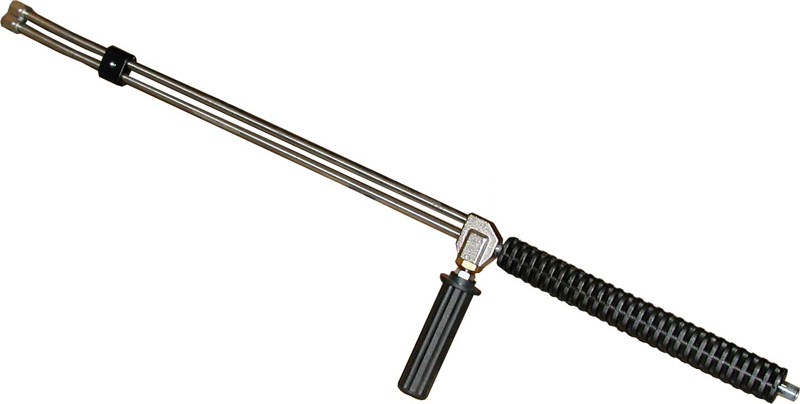 Single lances are typically sold with male thread on both ends. It is very helpful to use different lance lengths when performing different jobs. The most popular lance sizes are 36″ and 48″. The longer the lance the more effort is required to hold it. The short the lance the harder it gets to reach surfaces. A 36″ lance is best suited for close work, like washing small vehicles. 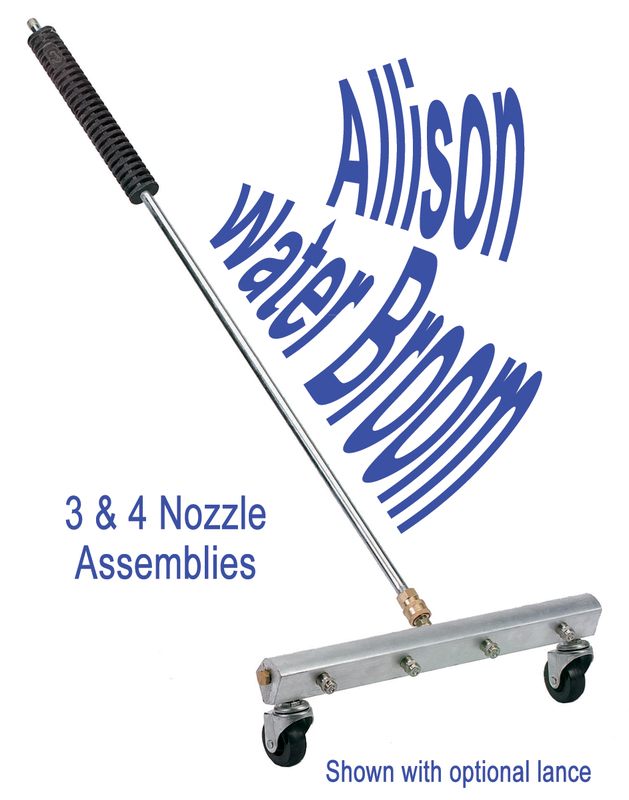 A 48″ lance can be used for a variety of vehicles and house washing. A 60″ or 72″ lance is useful for high trailers when detailed cleaning of the top rail is required, or house washing. 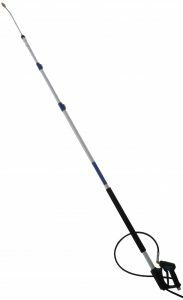 Short lances, like 12″ and 24″, are good for close in work. Very long lances are good for avoiding ladder work. They range from a 96″ standard size lance to 24 foot and beyond using extension lance and gun assemblies. These long lances are very tiring to use for long periods of time. Mobile wash companies should have a variety of lance lengths ready to go for various jobs. The best idea is to have several gun and lance assemblies to choose from at the job site. 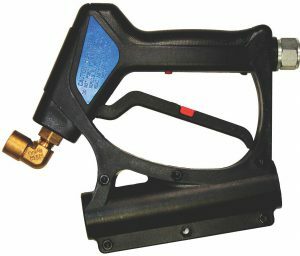 This is handy to provide flexibility, and it also provides back up trigger gun and lances for when equipment problems occur. 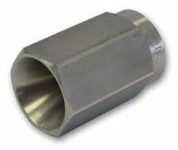 A lance is the pipe that is installed into the trigger gun outlet port. 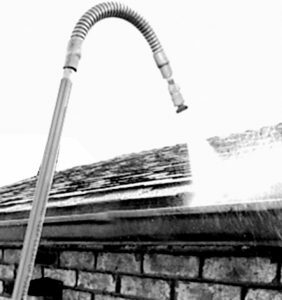 The single lance when used with a nozzle holder is the most versatile way to apply chemical and pressure wash. 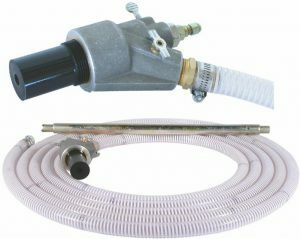 The nozzle holder used together with a down stream injector gives the operator the ability to pressure wash and apply chemical without returning to the pressure washer. Many of the lances sold for pressure washer use have molded grips. 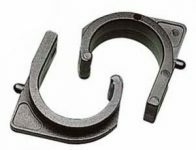 These grips are made of a durable plastic material and are molded directly onto the lance in a position that allows the operator the most comfortable hand position. Other lances are sold with no grips. If a grip id desired it is possible to obtain grips that screw onto the lance. Grips are important for general comfort, but they become much more important when spraying hot water because of their insulating qualities. A dual lance assembly begins at the trigger gun as a single lance, and then enters a valve where it is split into two lances. The two lances come out of the valve assembly and usually are bent at the nozzle end. 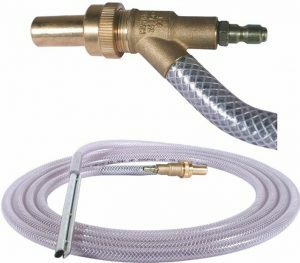 A low-pressure chemical nozzle is installed in one lance and a high-pressure nozzle is installed in the other. The dual lance valve typically has a side handle that is turned to divert the water from one of the two lances to the other. When the water is flowing through the lance with the low-pressure chemical nozzle, the down stream injector allows chemical to enter the water stream. When the side handle is turned it causes the valve to divert the water flow to the lance with the high-pressure nozzle. 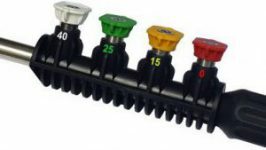 This in turn causes chemical to stop entering the water stream at the injector, and increases the pressure for washing. The weight and length are important when thinking about dual lances. A dual lance, because it has two pipes instead of one tends to be heavier than a single lance set up with a nozzle holder. 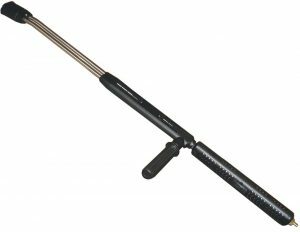 While length options are pretty much unlimited with single lances, dual lances are commonly available in 36″, 40″, and 72″.